In the short time since he launched his presidential campaign Donald Trump has put on a display of dramatics worthy of a reality show. His trademark "You're fired!" has been appropriated by headline writers over and over in recent days as business deals have collapsed in the wake of his derogatory remarks about Mexicans just over two weeks ago. While Trump's staunch defense of his comments about Mexicans are costing him valuable business deals, they are also bringing him political benefits. National poll numbers surged from 3% to 12% among Republicans earlier this month, ranking him just behind the GOP leader Jeb Bush. --The storm began gathering when he announced his presidential campaign last month. While calling for better immigration controls, he said Mexicans illegally crossing into the U.S. bring crime, drugs and are "rapists." --Within days, Univision - the largest Spanish language TV network in the U.S. - canceled plans to broadcast the Miss USA and Miss Universe pageants because they are partly owned by Trump. 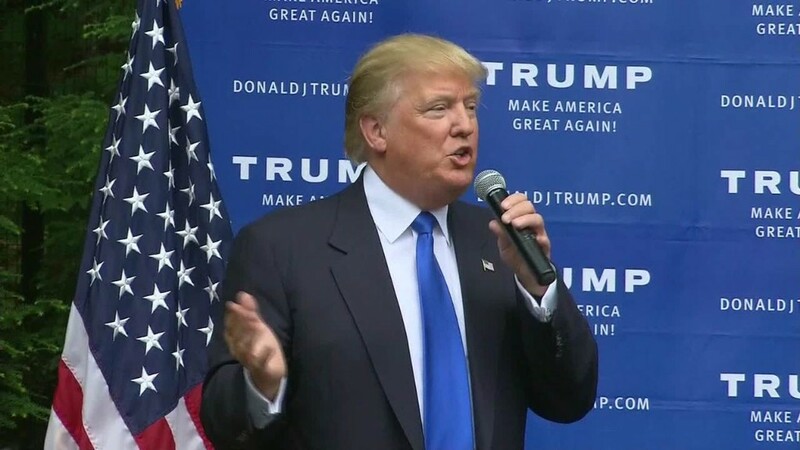 --Trump sued Univision for $500 million this week. He also banned Univision executives from his Doral golf course adjacent to Univision's headquarters. --The two hosts of the Miss USA Pageant, dancer Cheryl Burke and MSNBC anchor Thomas Roberts, quit the show to protest Trump's comments. --NBCUniversal, which co-owns the pageants with Trump, cut all business ties with the presidential candidate and won't broadcast Miss USA. --NBC indicated that it is looking for someone else to take over "Celebrity Apprentice," the reality show in which Trump gets to fire people. --Trump announced the July 12 Miss USA Pageant will be live-streamed on the internet instead of broadcast. Later, the tiny Reelz cable channel said it will carry the pageant. --Mexico declared that it will not send a contestant to the Miss Universe pageant. --Mexican billionaire Carlos Slim cancels a television project with Trump. --Macy's said it will pull from its shelves all ties, suits and other clothing that has a Trump label on it. --Farouk Systems, which makes hair care products including BioSilk and CHI, withdrew its sponsorship of Trump projects. --Four major golf organizations -- the PGA Tour, LPGA, PGA of America and USGA -- distanced themselves from Trump, saying his comments on immigration were "inconsistent with ... an inclusive and welcoming environment," according to the Golf Channel. -- Mattress maker Serta said it would not renew its license agreement with Trump Home mattresses. -- ESPN pulled its ESPY Celebrity Golf Tournament from a Trump course. -- NASCAR announced it will move a postseason banquet from the Trump National Doral Miami resort.